The American Prairie Reserve (APR) is working hard to build the largest nature reserve in the continental United States. With that goal in mind, wildlife enthusiasts currently have a golden opportunity to restore the national mammal on 250,000 acres of public lands in Northcentral Montana. 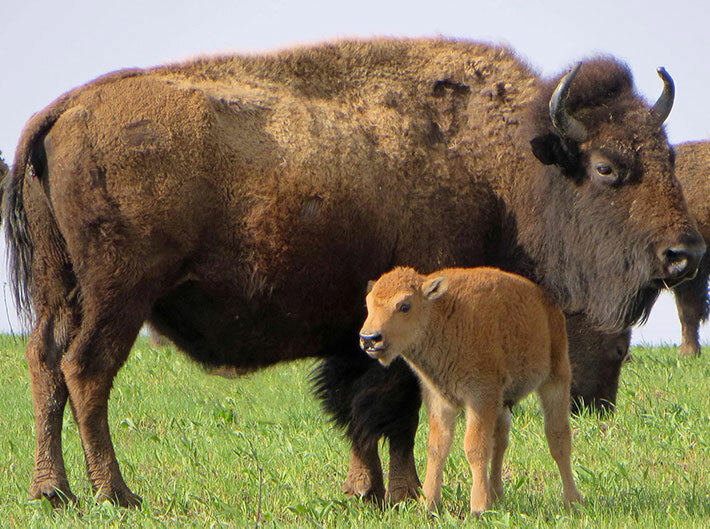 No matter how you slice it, the public benefits of bison restoration are compelling. Learn more with our Top 5 list below. Then consider helping us make the case to the Bureau of Land Management (BLM) by submitting a public comment before June 11th. 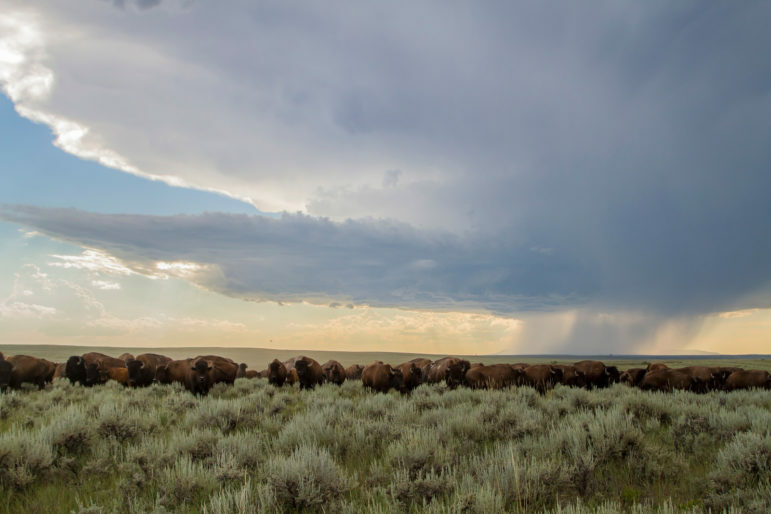 The more we are able to grow our bison herd, the closer we will be able to work with managers of other conservation herds in North American and contribute toward the restoration of our national mammal. Agriculture is the dominant industry in Northcentral Montana where the American Prairie Reserve project area resides. Even with and in some ways because of APR’s growing success and impact, agriculture will continue to remain that way for a very long time. Please consider asking the BLM to analyze the public benefits of providing bison more room to room on the American Prairie before June 11th. For more information, be sure to check out these Frequently Asked Questions. I wholeheartedly support the American Prairie Reserve’s cause. A golden opportunity for all interested parties to come together to work for the betterment of of habitat and the spiritual heart of the American nation. Sounds like a lot of positive could come from this. Please look into the benefits of the APR. What is total cost of set up, & employee cost(Including benefit packages & retirement expense) for 1st year, 5 year plan & 20 year plan. How many employees will be needed 1st year, 5th year, & in 20 years? What will be the maintenance cost per year at initial set up & in 20 years? The American Prairie Reserve is nothing more than an elite, indulgent experiment to remove traditional agriculture from this part of our state and cater to idealistic investors who are out of touch with the real world. The pristine condition of the prairie drew them here, but they need to destroy everything that has kept it that way for over 100 years to “save it?” Wake up people. And newsflash; bison aren’t endangered. I heartily support the APR, well run with good science. The reality is the majority of Montanans do NOT want this in our state. The APR is funded mainly by out of staters who have no clue as to the economic disaster this will bring to the agricultural industry in Montana. If you want to create a massive wildlife preserve, may I suggest Central Park. It fits better for tourists.